Throughout this Interlull my interest has been primarily that our players come back without injury. 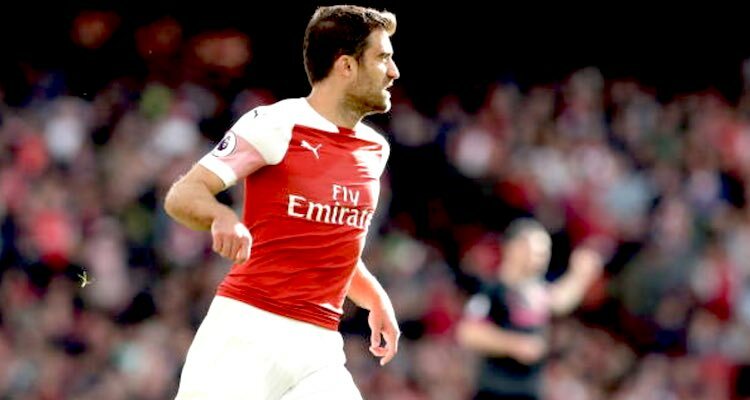 It’s been so far so good, but then via @AFCPressWatch2 I saw a story about Sokratis Papastathopoulos which doesn’t sound that promising. Socrates Papastathopoulos suffered a sprawl and was replaced in the half-time of our National Division against Finland by Michael Skimbe. Papastathopoulos struck and changed. He was replaced by Tzavellas in 46 ‘Finland and Greece and the reason was that he was sprawled. I mean, it sounds much more interesting than your run of the mill injury story. At first I thought ‘Splashed’, huh? He’s been discovered to be a mermaid, or a merman, like Daryl Hannah in that film from the 80s, but then sprawled could mean that he has hyper-extended his gooch, doing the splits or something and thus picking up a groin injury. Just that Socrates twisted his ankle. Doesn’t say how bad the injury is or how long he will be out. Hopefully the substitution was precautionary because right now centre-half is not a position in which we have a great deal of depth. Sokratis, Shkodran Mustafi and Rob Holding is it as far as it goes. Konstantinos Mavropanos is injured and still, for the most part, an unknown quantity. He barely featured in pre-season under Unai Emery and his absence at the moment has probably prevented him from getting some minutes in Europe or, at the very least, in the Carabao Cup. We spoke about Laurent Koscielny yesterday and he’s still a good few weeks from being considered available for selection, with the caveat that we don’t really know how significant the impact of such a traumatic injury is going to be. As I mentioned in the Arsecast Extra yesterday, my faith in our medical team, rehab people, high performance chaps etc is probably at an all-time high so he’s in with a good chance, but until he starts to play again we won’t know for sure. Back in the summer it was strongly rumoured that we were going to bring in two central defenders. We had talks with Freiburg over Caglar Soyuncu who ended up with Leicester, and I felt sure that after we’d allowed Calum Chambers to leave on loan another defender would come in, and I still think there’s something weird about the decision to loan Chambers to Fulham. Not only did he just sign a new contract weeks previously – his second in a matter of seven months by the way – he provided us with the right amount of depth at centre-half. You can argue the point that we’re a team that needs more quality in this key position, and I wouldn’t disagree with that at all, but at the very least you should have enough players available to you to ensure that a single injury or suspension doesn’t leave you down to the bare bones. Chambers would have given us that breathing room and if we were over-subscribed in January, there’s scope to loan somebody out then. Either way, if you were looking to loan someone in the summer, surely Mavropanos was the guy to go out. He’s still very young, has limited experience and would surely benefit most from a move to play regularly. You then keep a guy who has not only just signed a new contract and been told publicly by the head coach he’s ‘part of his plans‘, you have a player who performed well towards the end of the previous season and who had something to build on. I do think there’s something more to this situation than we know, because it makes so little sense on any level. Anyway, it was one of those decisions that was made knowing there was an element of risk, so whoever it was that made it ought to be sitting at their desk this morning keeping fingers crossed that there’s nothing too badly wrong with Sokratis. Our upcoming schedule is relatively trying too. The Monday night fixture against Leicester squeezes things a bit as we then have an away trip to Lisbon and another early kick off on Sunday when we travel to Crystal Palace. Then there’s midweek Carabao Cup, Liverpool at home, Sporting Lisbon again then Noel Gallagher’s High Flying Wolves before the next Interlull. That’s a lot of football to play with just two central defenders – and you know one of them concerns me on a regular basis so there’s that too. I guess we can only assume that Raul Sanllehi and Sven Mislintat are well aware of how short we are in this key area of the pitch, and that there are plans to correct things. Ivan Gazidis will be gone at the end of this month, so the responsibility lies fully with our new Head of Football and Head of Recruitment to ensure we have a squad that is balanced and competitive. Oh, and I guess Stan and Josh and the KSE Krew have to give them the money to make it happen. Now that they’re the 100% owners this would be the first chance for them to prove that the ambitions they laid out in their offer document aren’t just words that sound good when written by well-briefed and well-paid lawyers. I won’t hold my breath exactly, but I think we can probably read a fair amount into what happens in January. Let’s see. Ok, I’ll leave you with yesterday’s Interlull Arsecast Extra in which James watches a truly horrific video, we discuss Thierry Henry, Koscielny, Ramsey, Mkhitaryan, terrible voice acting in video games and lots more. Happy listening, more from me tomorrow.